Lightly raced chaser who has only raced twice over fences since switching from hurdlers - winning last year's Martin Pipe at the Cheltenham Festival. He was third on debut to the ill-fated Ballyward at Naas which was very much a learning curve, before going one better to finish second-best to Chris's Dream; behind him for the second time at Navan in a Grade Two. Plenty more to come but will need to beat Henry De Bromhead's 7yo for the first time, along with the rest of the field. Already spoke so much about Chris's Dream with Champagne Classic. Completed his novice hurdles campaign down the field in the Albert Bartlett last term - beating subsequent Stayers winner Paisley Park in the process. Two wins from three over fences, and always looked just in command at Navan last time out over three miles. Another step in the right direction can be taken here. Some nice progress as a chaser in Novice Limited Handicaps of late, and finished a good third when well fancied for the Grade Two Altcar Novices Chase. Disappointing in the Ultima Handicap Chase when down the field in the Grade Three, so hard to see how he is going to get involved here. Several Skelton runners targeting top race glory, but this 7yo certainly has his work cut out to make the frame. Went to Cheltenham in search of a unlikely hat-trick, but was well behind the first finishers in the RSA Novices Chase - coming home a worthy sixth. Could have dropped back to two-and-half-miles for the Manifesto Novices' Chase, which he has won over twice this season in the lead up to the Festival but chose not to. Last time out was a first time step-up to Class One level and it was all too much, so worth another chance, and has schooled nicely at home. Good fourth in the JLT Novices Chase to Aintree absentee Defi Du Seuil. Kildisart was a bit outpaced down the side of the course but kept on from the last smartly, backing up his run at Prestbury Park back in January where he scored over the same distance. Also successful at Ascot before Christmas - but now steps up in trip to three miles, and looks a worthy contender here, but must put his best foot forward in this top field. Game second to Defi Du Seuil in JLT, and ultimately just could not deal with the pace of the excellent winner. Has been fighting battles with La Bague Au Roi and Defi Du Seuil all season it would seem - finishing second and third to the mare at Newbury, before beaten the Philip Hobbs-trained six-year-old in the Dipper, only for the result to be overturned twice at Cheltenham and at Sandown in the Scilly Isles. Remains a far better chaser than he was hurdler, but was a good second to Black Op in the Grade One Mersey Novices twelve months ago. Was left a surprising winner of the Reynoldstown Novices Chase at Ascot after the exclusion of Santini, and the disappointment of Top Ville Ben. Followed up his smart victory over Carlos Du Fruitier - who won the Royal Artillery Gold Cup at Sandown not too long ago, and that was a smart success given the gap was thirteen lengths. Best of the rest behind the big three in the RSA Novices Chase, but a big gap to close and success does seem unlikely here. A big season was expected of the hilariously-named Mr Whipped, and I think it is fair to say we have not seen the best of him just yet. 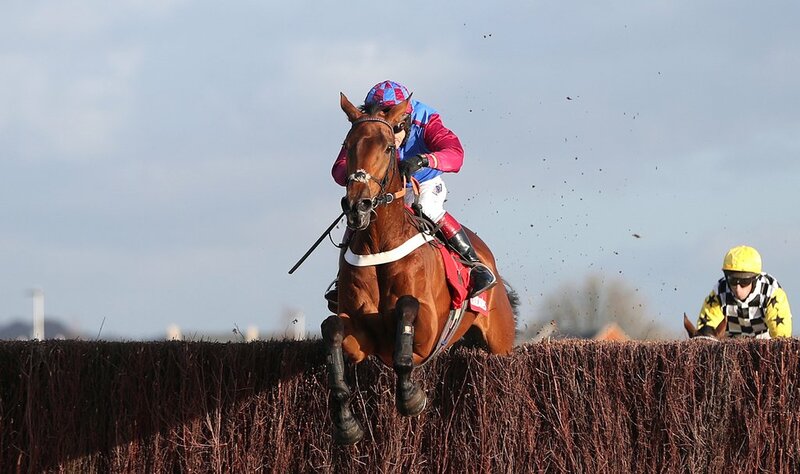 Third on chasing debut at Cheltenham behind Count Meribel and subsequent National Hunt Chase winner Le Breuil was a good attempt, of which he used to his initiative when scoring at Haydock latest. Has been off the track a little while, and was hit by the equine flu saga. Back for more now, and should hold squeaks of a place if not more. As mentioned before, the Skelton's are targeting 200 winners between now and the end of the season, and are sending several of their top handicappers to the top graded affairs this weekend. Another of which [like Crucial Role] is Spiritofthegames who finished an excellent third off a big weight in the Brown Advisory Plate at the Festival. Very likeable display but from a very quick improver. Has to have a say in this. Masterful performance in the RSA Novices Chase at the Cheltenham Festival from this 7yo, and full credit to ten-times Champion Trainer Paul Nicholls for highlighting this lad as his best chance of the week. With Delta Work disappointing as the 2/1 favourite, Santini and Topofthegame capitalised on the mistakes of the Irish raider on the straight, who did not find a great deal for pressure. Last year's Coral Cup runner-up certainly pulled out more, and finally got his head in front after two near misses at Kempton and Exeter - the latter you may recall where he gave away 20 lengths at the start. Arrives as the one to beat. Top Ville Ben fell at a crucial stage in the RSA at Cheltenham, but with plenty of fuel left in reserves, he returned quickly at Wetherby a week later and came through a convincing winner to put things right. Sinking his rivals by 37 lengths, this 7yo showed the form once again that he had put in front of our eyes before his disappointing performance in the Reynoldstown where he was far too keen. He jumped stylishly at Hexham and at Wetherby earlier in the season, and appeared to relish every single yard over the further trip. His win at the West Yorkshire venue latest, surely puts him in with a chance, but will need to be his optimum self.